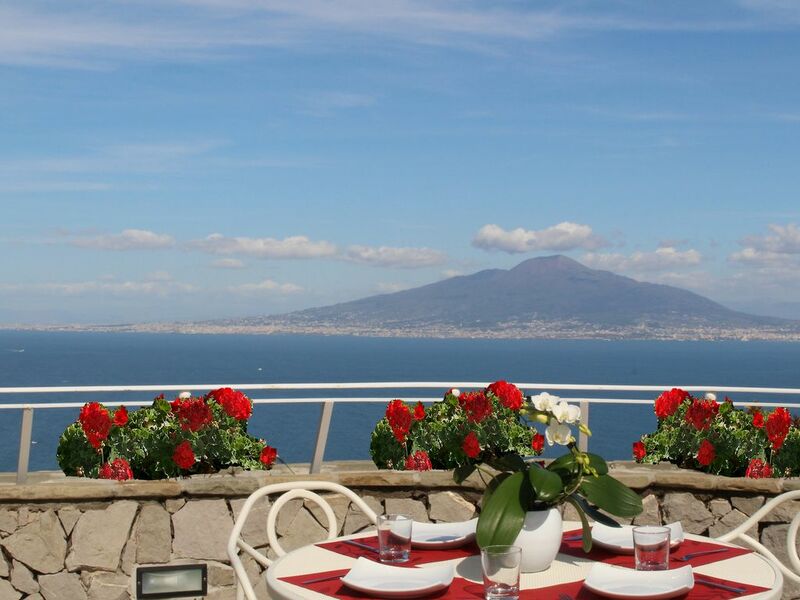 MiraSorrento is a recently renovated house, enjoying a breathtaking view. Equipped with all the comfort wifi, microwave, nescafe machine, air conditioning, parking etc. MiraSorrento is located in Priora, 15 min drive from the center of Sorrento, we recommend medium-small car. However you can reach the center in 10 / 15min even on foot having access to a narrow road made of steps. MiraSorrento is located in the borough of Priora, on the hills of Sorrento, and it is 15 minutes drive from the city center. Here you could relax in the garden. Could visit Sorrento, Capri, Pompeii, Positano, Amalfi.